You know a restaurant/cafe has found its way to my heart when 1. I tell my friends to go there 2. I visit it again, within a reasonable time frame (too many restaurants to go to) 3. It stays on my goldfish mind for a bit. So yes Shukuu Izakaya checks all 3 boxes. Plus, it's within walking distance from my yoga studio so it's perfect for that protein fix after working out heh. 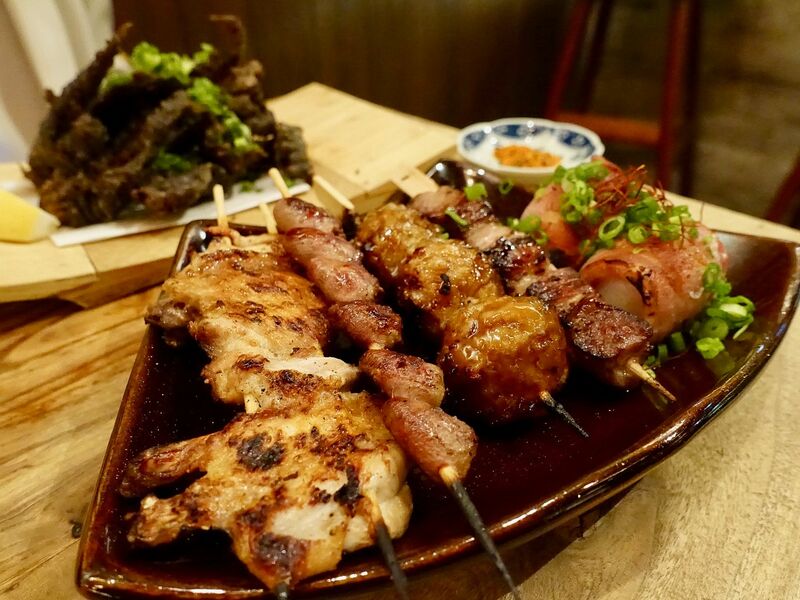 This casual bar and bites eatery on Stanley Street serves Japanese small plates to go with a plethora of alcohol. Our choice of poison? Sake of course. 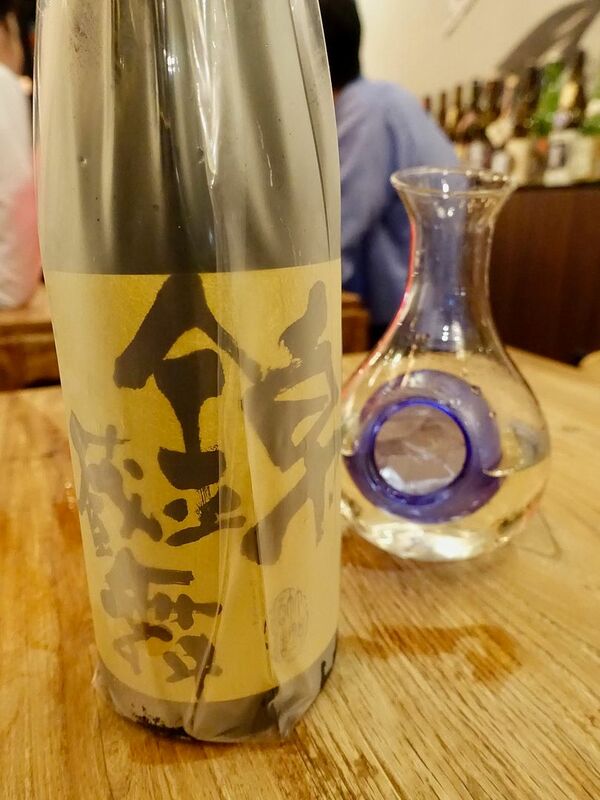 Plus the boys at Shukuu Izakaya are certified sommeliers and can provide sake pairing options with the bites you pick. 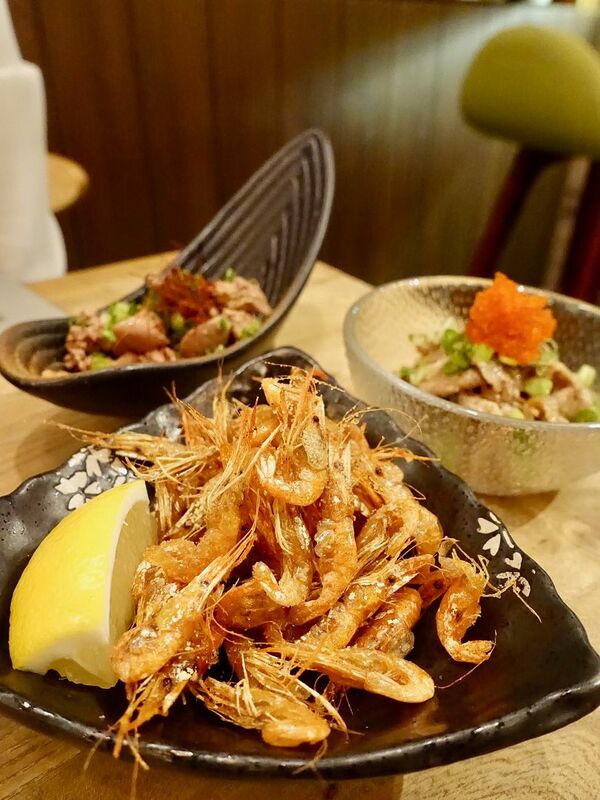 The sakes, and the produce served, are carefully sourced from Japan, delivering the most authentic Japanese dining experience right in the heart of CBD. Smaller snacks to prep our tummies for all the drinks to come. The Kawa Ebi-Age ($7), are crunchy and salty morsels that make a good snack. If you are into offal, the marinated chicken liver in soy sauce Reba Shoyuzuke ($6), wouldn't be a bad option. My gf who orders this quite often said it's pretty good. I enjoyed the tartness of the Gyu Ponzu ($7) but not the dry meat. 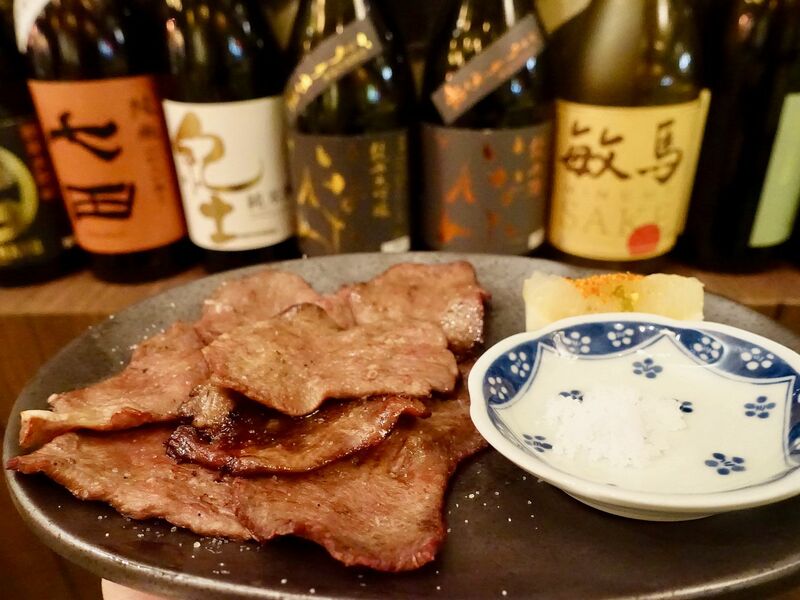 For something meaty, i'd say go for the Pork Jowl Charshu ($18), a buttery slow-cooked Iberico Pork which is perfectly comforting. I'd say skip the dry and tough Yaki Gyu Tan ($14). A fish dish that i found interesting was the Aburi Shimesaba ($12). It's the first time i've tried a vinegared mackerel and this has a nice char on it. From the Yakimono section, we were wowed by the Rosti Mentai ($8), which featured crunchy potato noodles topped with creamy spicy cod roe. This is the best rosti that i've had in a while! For something creamier and sweeter, you could give the Kani Gratin ($7) a try. I'd go with the former for sure though. The Ika Kuro-age ($10) is a another must-order for me. 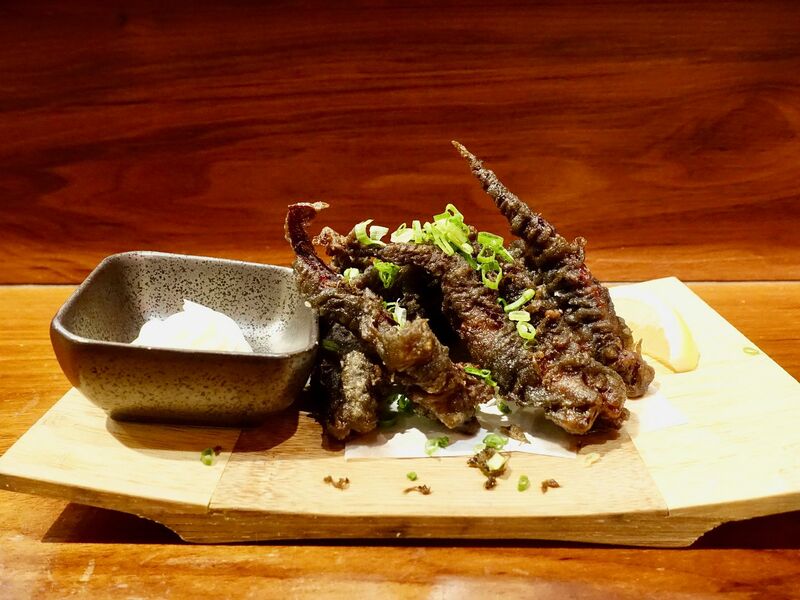 The sweet Japanese Surume squid is fried in squid ink batter (more for visual than flavor) and it remained crunchy throughout our meal. 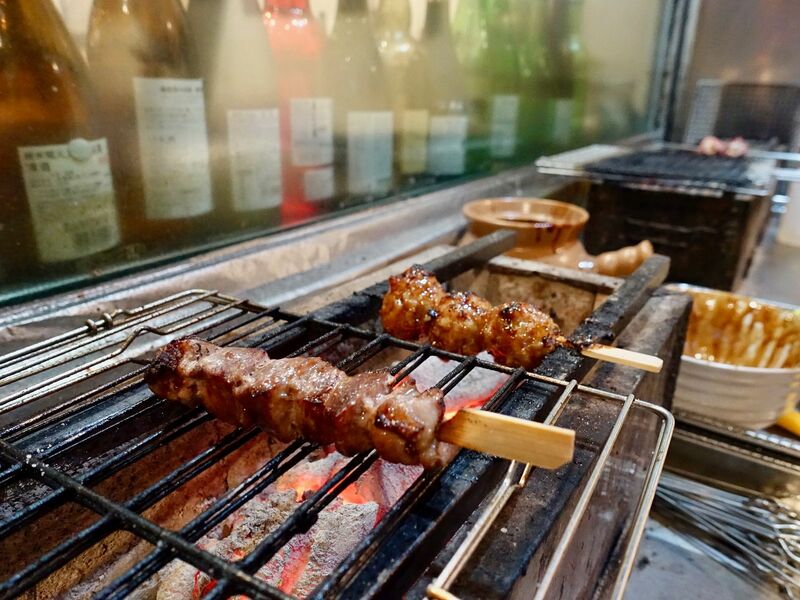 How can we not have Kushiyaki (charcoal-grilled skewers) when we're at an izakaya? We had the 5 pc Chef's selection ($18) which consists Tebasaki (wing, $4), Hatsu (heart, $4), Tsukune ($4.50), Kurobuta Tontoro (Iberico black pork collar, $5.50), and Bacon Scallop ($8). Plenty of options to choose from to go with your drink(s). 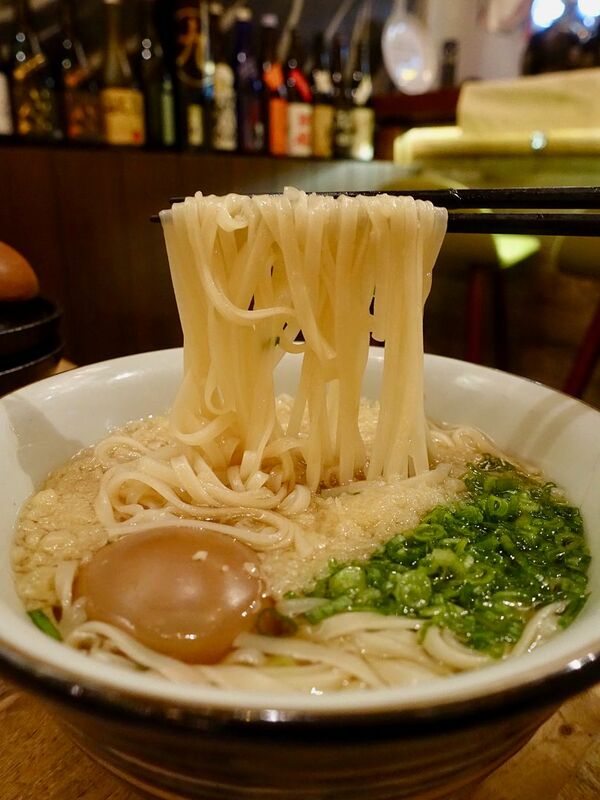 After all the grilled meats and drinks, end your meal with some comforting noodles and soup. The Inaniwa Udon ($14) is available hot or cold. We enjoyed the thin noodles cooked in a light but flavorful konbu tsuyu soup. 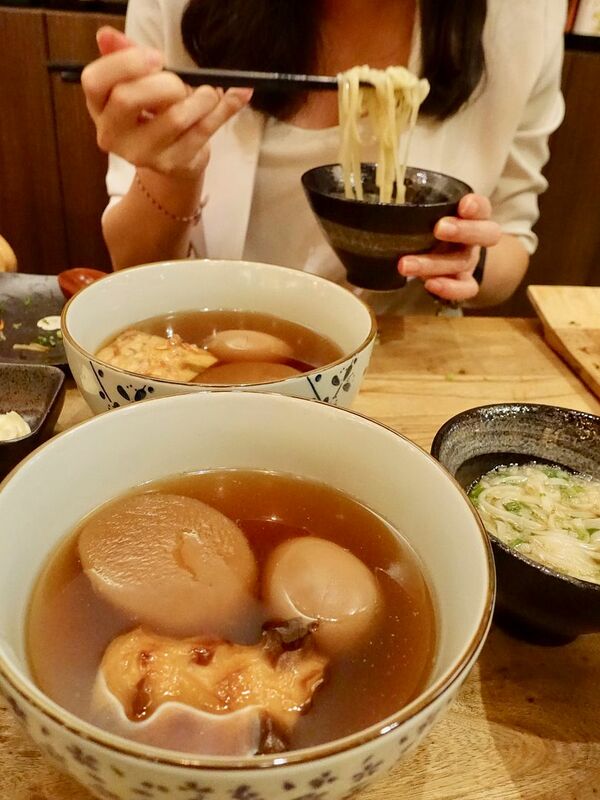 Of course, you must have the ODEN! I'd have this as my main gladly. 4 pieces of Japanese fish cakes, konnyaku, egg and my absolute love, a well cooked daikon! Casual dining over fine dining, small bites over big mains, plenty of drinks with food. 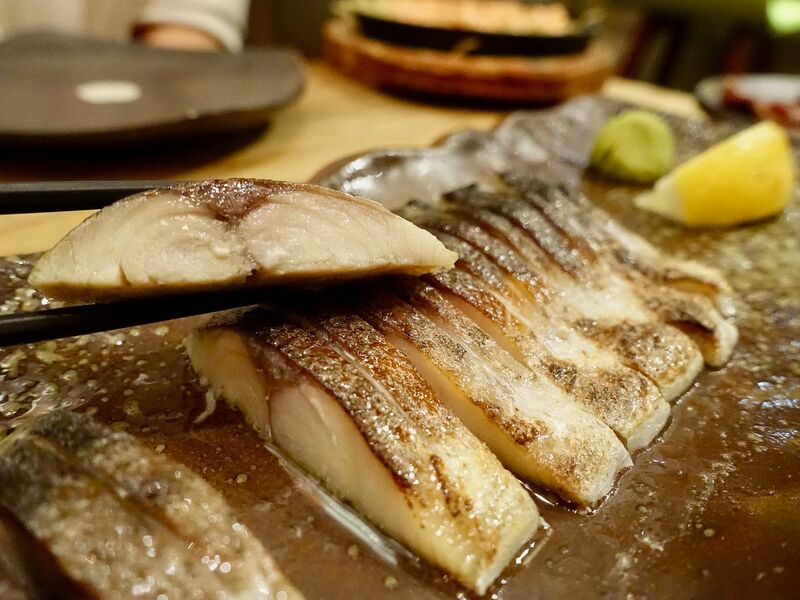 If you're the same type of diner as i am, you'd definitely enjoy Shukuu Izakaya. Don't say i didn't share this gem with you.